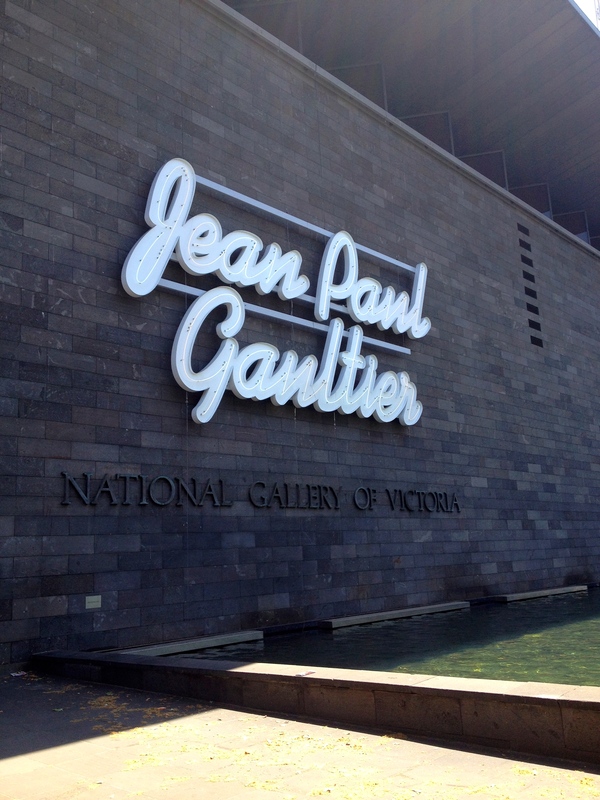 Melbourne was blessed to have fashion royalty’s Jean Paul Gaultier’s exclusive exhibition for a limited time at our national gallery. The exhibition featured his most fabulous creationa, so of course there were plenty, and they were displayed within their distinct sections. There was a unique vibe and style resonating through every room which presented some of his most critically-acclaimed collections, leaving the exhibition goers with no doubt that this man is a legend. The man in the (mannequin) flesh. The faces were projections of real models, and moved, spoke and sung! It was brilliant and occasionally creepy. The ensembles were absolutely remarkable, and I was astounded by the immense level of creativity which they exhibited. On a less impressive note, I created my own lil’ ensemble for the day with a 90’s skirt and a new season Kookai top. Just to be clear I was not a victim of a soaking. The photographs were taken at Coles fountain, Parliament Reserve.